In June, 2016, Sooo Many Stories, that had previously only existed as a blog, published our first print book, The Headline That Morning by Peter Kagayi. At the time, we really just wanted to publish Ugandan books but we soon realised that there was more we had to do to change the attitude people have towards books. The idea of The Fireplaces, places where book lovers can meet to discuss books became something we could not ignore anymore. And so in August 2016, we launched The Fireplaces; Tot Tales for children, Storyported! for teenagers and #MEiREAD for adults. The idea for #MEiREAD was to have a place near your home where you can go after work and meet like-minded people and discuss books of your preference. Our first chapter was in Bugolobi at The Village Mall and in 2017, Kahwa2Go opened their doors to us to hold our Ntinda chapter. It is here that we sat down to the best tea and chicken samosas and discussed different stories in African Literature. Together we explored the lives of Ifemelu, The Mugisha girls in Entebbe, Requiem, Furo, James Karanja, Apire, young Namutebi and Juma. We banange’d at the village boys that tried to steal money from a grave, and the man whose buttocks defiantly refused to change colour. We gasped at how bold the writers of the Sext Me anthology were to bring stories we rarely see but stories of lives that we live. We confessed when we found a particular book hard to read and we texted each other whenwe could not wait to meet physically to discuss a book that excited us. We had “where have you been all my life?” moments when we met for the first time and we said yes, to new friends. Over and over again, we have received requests to include more people than just one location could take. This is why we made the decision to take the book club online. The Fireplace: #MEiREAD will now be hosted by a team of women whose faces you have seen around Sooo Many Stories. They are women I am extremely proud of and blessed to work with everyday. 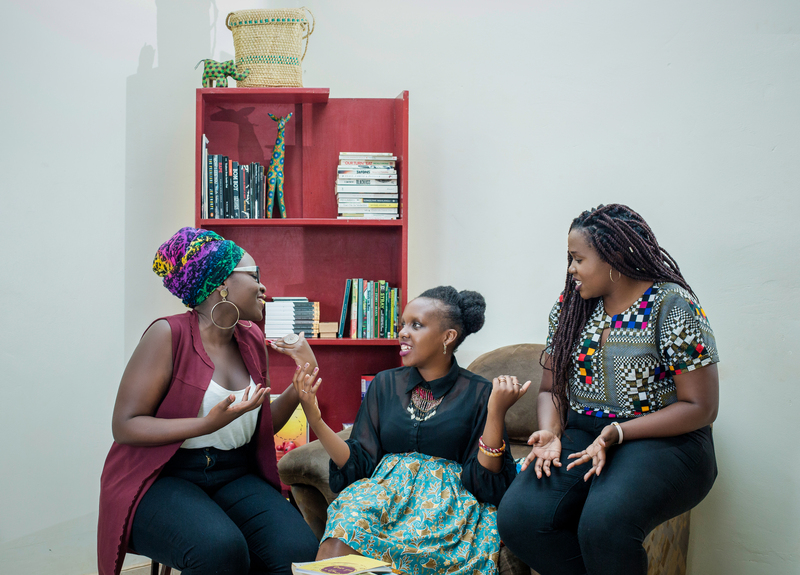 Dushiime Kaguliro, Carol Kagezi and Esi Nshakira not only enjoy books but the way they try to perceive the world through books is something I hope you will want to be a part of. 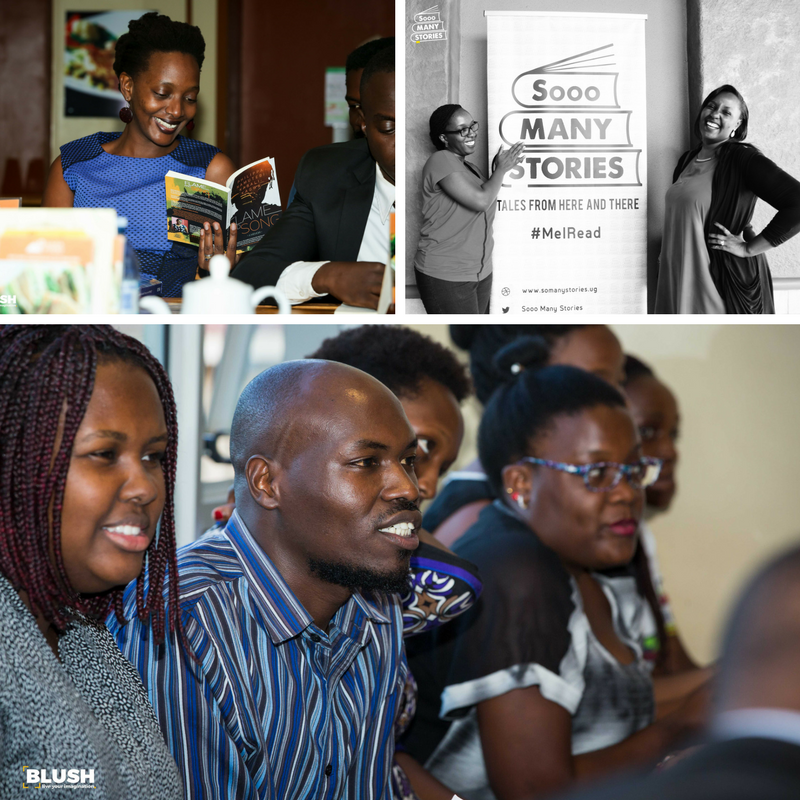 Dushiime nurtures the book clubs the way a mother does a baby; looking for new ways we can make it relevant and fun for people and how it can grow. She is also one of the best readers I have ever met. The way she looks at books and interprets stories is something I can not wait for you to see. Carol always brings out nuances we could miss; asking tough questions and turning stories so we can see as many angles of the stories as there are to see. Esi is the one most likely to text in the middle of the book to check if you responded to it the way she is as she reads it in real time. She will seek you out to give an opinion about a paragraph, a sentence, a character. She also brought so much warmth as the host of our physical book clubs at Kahwa2Go. Three years ago, these three might have hesitated to pick a book by an African author, thanks to how school made us look down on African Literature. So I will be the first to tell you that these are not experts; they won’t be discussing literary theories. They are simple storylovers, the ones you want to call after a book has left you dizzy with excitement. An excitement that only another book lover can understand. These are the ones. This is your tribe. We will also have author interviews and you, members of the book club are welcome to join us as guests, every so often. Beyond just being able to reach more people, it is important to us that we are constantly changing how people look at books. There are a couple of vloggers who talk about books but there are very few that are talking about African Literature. We hope you will join us as we change this. I would like to thank all the people that have been regulars at our different chapters. Thank you for showing up, for buying the books and for joining the conversations. You have always supported us, made suggestions, pushed us to be better and it is you that have made us want more. Even though we won’t be meeting physically, I hope we will continue having these conversations online. We have agonised over the possibility of losing you, we have weighed the pros and cons and we hope, if you need a little more convincing, you will let us show you how this allows us to achieve more. I’d like to thank the team at Beohrts Beard who we went to when we started flirting with this idea. Andrew Pacutho of Beohrts Beard, and a member of our fireplace jumped onto the idea, all in. He put our fears to rest when we spoke about losing our regular members and constantly reminded us why it was essential to grow. He brought with him Aaron Kajumba , who is a joy to shoot with (all of us are new to this so you can imagine the nerves that came with us to the shoot). We might have even convinced him to read a book we will be announcing soon. Max Bwire and Blush Media, whenever I am tempted to forget how far we have come, I have you to thank for the memories you have helped archive through your photography. Thank you! The Village Mall that gave us our first home in 2016, thank you for seeing what we are about. Kahwa2Go, thank you for 2017. There are very few people that get us and the importance of what we do. Kahwa2Go welcomed us with open arms and always made sure we were comfortable. They even had a special #MEiREAD menu during some book clubs. Thank you for giving us a home. I look forward to hearing your thoughts on this new version of #MEiREAD. Eh!! Thanks for leaving us in anticipation 🙂 . Hoping to fall in love with African literature soonest. You ladies will nail it. Keep going forward! Here’s to falling in love with African Literature! See you around, Phoebe! I’m going to miss the meetings. But I’m going to love the “meme-ing” that shall sprout from this. Let’s look on the bright side! See you on the internets, So! I may have some memes for you already.